Addenbrooke’s Hospital is a national and regional centre for many cancer types, including lung cancer treatment at Papworth Hospital. We see around 6,000 new patients each year providing the highest quality clinical care backed up by some of the finest cancer science in the world. The 5 year survival rates for our patients are better than the national average for prostate, oesophageal, pancreatic and breast cancers. Over half of cancer patients in the Cambridge region take part in clinical trials - the highest proportion of patients in trials across the UK. 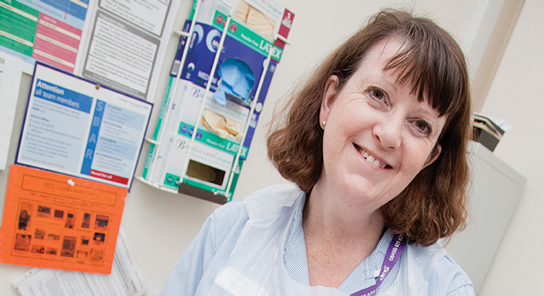 The diagnosis, treatment and support for cancer patients is provided by Addenbrooke’s Hospital, where around 90 clinical consultants are members of the CRUK Cambridge Centre. Cambridge has the highest proportion of cancer patients taking part in clinical trials. These trials will benefit patients in terms of earlier detection and diagnosis, more effective treatments and improved care. Cambridge is the regional referral centre for breast, ovarian, prostate, pancreatic, renal, and lung cancers (at Royal Papworth Hospital). Innovative research by Cambridge scientists is improving patient treatment and care.